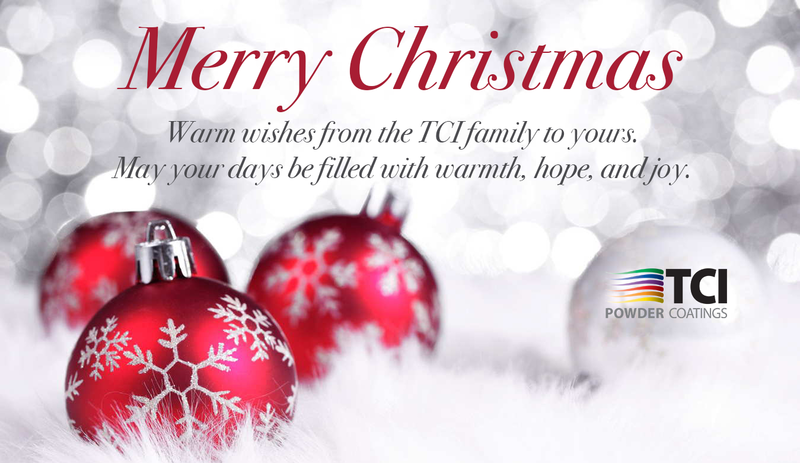 TCI's office and warehouse in Georgia will be closed for the holidays on Thursday, December 24 through Friday, December 25 as well as Friday, January 1 for the holidays. The Canadian office and warehouse will be closing at noon on Thursday, December 24 through Friday, January 1. Each year, without fail, Santa Claus and his reindeer travel the world to bring presents and joy to the people on his nice list. 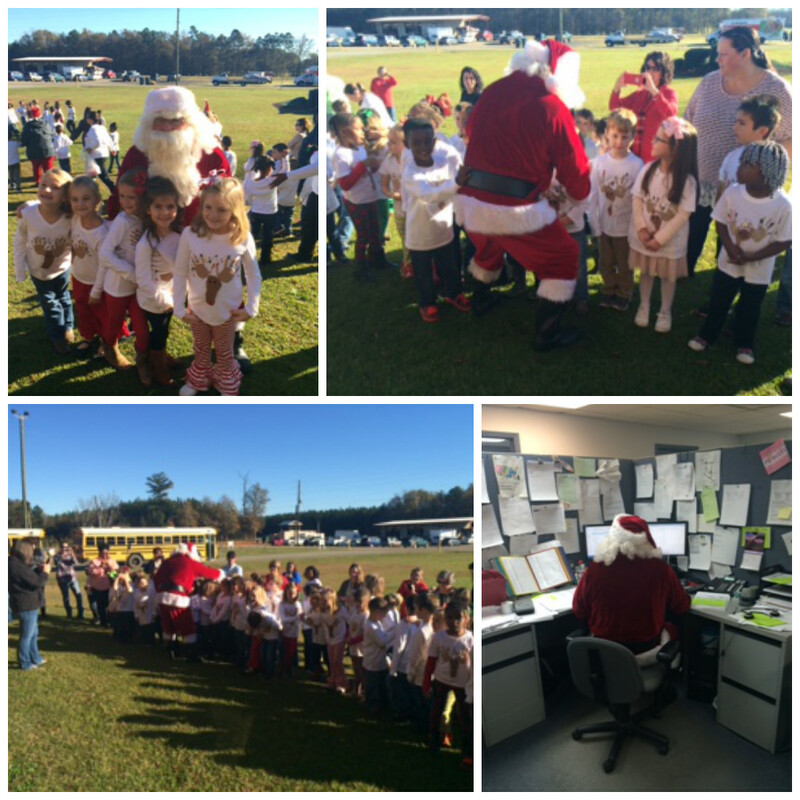 This year Santa made an early appearance at TCI and surprised elementary school children who stopped by to sing holiday songs to the TCI employees. Santa (a.k.a. 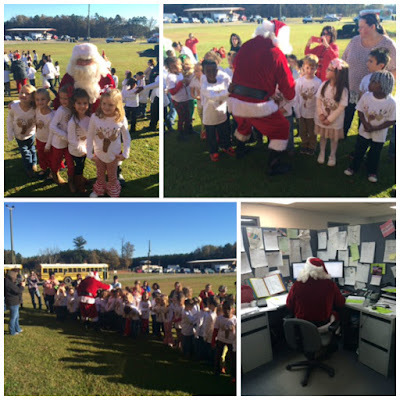 Dennis Hall in Customer Service) has dressed up as Santa for many years and participates as Santa in the Americus Christmas Annual Parade. 'Tis the season for believing! Thank you Dennis for your help in making this the most wonderful time of the year! Sometimes, you have to apply one coat of powder over another. You can recoat with most powders, though you’ll probably face common problems of poor electrostatic attraction and poor inter-coat adhesion. If you need to apply a second coat, it is important to make sure part preparation is consistent. As with any new coating job or procedure you do, always test the procedures thoroughly to work out application techniques and find application problems before you begin to produce the powder coated part. Please contact us today to speak with one of our professional service technicians. We can help you with application questions or any of your powder coating needs. 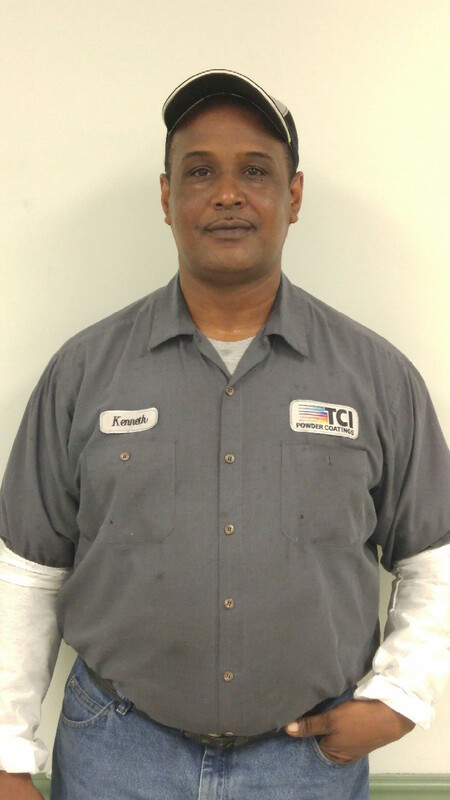 Kenneth Bryant has been a dedicated and valued TCI employee for almost 19 years. During Kenny’s years at TCI, he has contributed to our success in a number of roles including: grinder operator, QC technician mixer, forklift driver, lead man in grinder department, extruder operator on the busses, lab extruder, and mighty mixer. Kenny’s drive for success is evident in his personal commitment to quality. Kenny says, “TCI isn’t an assembly line. Each person has a machine to operate and is responsible for their own success.” He always works to improve production and promote job safety. His “whatever it takes attitude” to exceed the expectations of our customers is another indication of his dedication to TCI. Appreciative of his accomplishments and career highlights, Kenny especially takes pride in a few key recognitions. He received the Lead Man employee of the month award, as well as being the first person to run the grinder at the new facility. He supervised on-the-job training at South GA technical school, and is a proud member of the safety committee. Kenny resides in Americus, GA with his wife Addie Bryant and daughter Andrea N. Owens Jones. Outside of work, Kenny likes to spend time with his family and friends, whether it’s grilling, baking cakes and pies, dinners out, walking, or shopping with his wife. We want to offer our sincerest thanks to Kenny for the contribution he has made to our company. Using the right tool for the job is no exception when it comes to powder coating. It is difficult to powder coat a part properly with the wrong control devices. Therefore it is important to use the best-suited powder gun tips to control and direct the flow of powder as it leaves the tip of the gun. The flat spray pattern device has gained popularity in the last 20 years. This device attaches to the gun tip and focuses the powder into a flat or fan-shaped pattern. This aims the powder into specific areas with pinpoint accuracy. The flat spray tip also produces a higher powder velocity than the deflector tip, allowing the powder to penetrate recessed areas easier. The distance between the gun and the part along with the size of the slot in the nozzle control the size of the pattern. The higher powder velocity can blow powder off the part producing insufficient wrap. Taking time to examine your application methods and investing in pattern control devices will pay off with improved coating efficiency and product quality, saving you time and money. 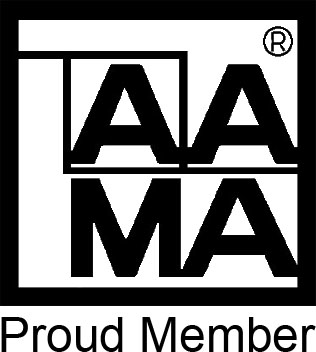 TCI Powder Coatings is proud to announce two new association memberships with the American Architectural Manufacturers Association (AAMA) and The Society for Protective Coatings (SSPC). With these new association memberships, TCI has more opportunities for advanced education and training programs, keeping TCI a leader in the industry. The deflector tip is the most common pattern device. It directs the powder flow into a round pattern. This creates a larger powder pattern than a gun without a deflector therefore increasing the area the powder covers. The deflector also reduces the powder velocity, which increases the electrostatic charge of the powder. The charging characteristic of a powder is directly related to both the physical properties of the material itself and the specific processing conditions. It is important to examine and find the best process factors to improve your bottom line, reduce overall costs, and meet performance requirements with quality and efficiency. The key to quality powder coating is to spray just the right amount of powder with the minimum amount of air necessary. Excessive feed air pressure and powder volume will not result in faster or better coated parts, and generally speaking, the finish, spray guns, and spray booth may be compromised as a result. Excessive gun pressures will have a dramatic negative impact on spray quality and efficiency. It is important to find the correct gun pressures to alleviate the listed negative impacts and to improve your bottom line, reduce overall costs, and meet performance requirements with quality and efficiency. For more information on Optimizing Gun Pressures, read TCI's Troubleshooting Guide. Or contact us today to speak with one of our professional service technicians. We can help you with application questions or any of your powder coating needs.